You have been waiting for this all year long. 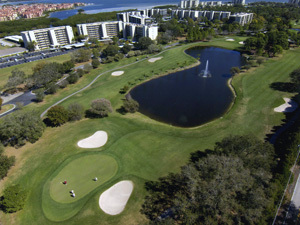 The sun is warm, a light breeze is blowing, and the golf course is stretched out in front of you. If this sounds like a scene out of a dream, then Cove Cay Golf Club is a dream come true. 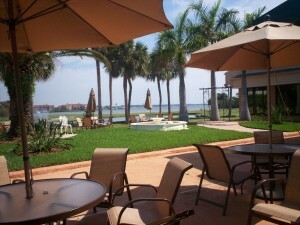 Each year we play host to some of Tampa Bay’s most successful golf tournaments and corporate outings. A day on the course may be just the thing you’ve been looking for to strengthen your company’s mindset or to raise funds for your organization. What makes Cove Cay Golf Club different is our attention to details. Often times it’s not how extravagant your event is but how well it’s executed that determines its success. Our experienced staff does what it takes to bring success in every detail. Come to us with your thoughts and we’ll construct a plan that will leave your guests with an experience they will never forget. The assistance of our experienced staff can include on-course contest set-up, customized rule sheets, scorecards and cart signage. 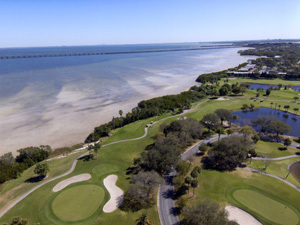 At Cove Cay Golf Club, our guests’ experience is our number one priority. Please complete the form below to contact our staff and begin planning today.